The Mad Professah Lectures: Sheila Kuehl Elected1st Openly LGBT Member of LA County Board Of Supervisors!! Sheila Kuehl Elected1st Openly LGBT Member of LA County Board Of Supervisors!! 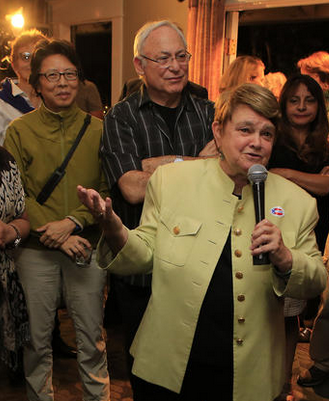 Sheila Kuehl made LGBT history again last night as the first openly LGBT person elected to the California legislature (way back in 1994) became the first openly LGBT person elected to the powerful 5-person Los Angeles County Board of Supervisors. Kuehl, 73, won a tight race against fellow Democrat Bobby Shriver to make history and cement a Democratic (and progressive) majority on the legislative and executive body which serves the 10 million residents of Los Angeles County, roughly the population of Ohio. 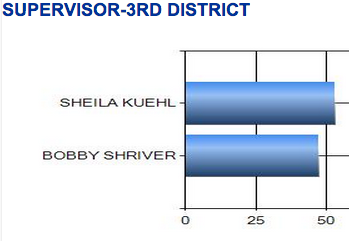 The current vote tally has Kuehl ahead 52.78% to 47.22%, 12,029 votes out of less than a quarter-million cast. This is a shockingly low voter turnout in the 3rd Supervisorial District which has about 2 million residents. There are still absentee ballots and provisional ballots to be tallied but Shriver has conceded the race and it is unlikely the result would change. MadProfessah endorsed Kuehl very early and her win was an incredible bright spot in an otherwise very rough evening of electoral results for Democrats and progressives around the country. MadProfessah is in Lake Tahoe, Nevada!